"Are You Responsible For Your Spouse's Debt in Separation?" Marriage means intertwining two lives. 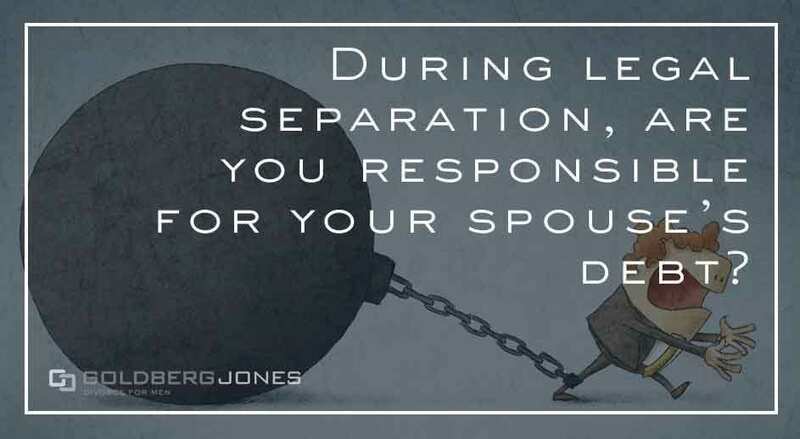 When a marriage end, divorce is the process of untangling them. Part of that means dividing up any shared assets you amass together. Another unfortunate part is splitting up any shared debt. That can be a big financial blow. But what happens if you live apart but never officially divorced, yet your ex continues to run up the bills? In situations of legal separation, are you still responsible for your spouse’s debt? Rick Jones, our founding partner, regularly appears on the Danny Bonaduce and Sarah Morning Show, where he addresses family law questions from listeners. A recent caller has concerns about his mother and stepfather. They’ve been legally separated for years but technically remain married. In that time, the husband has built up huge medical bills. Is the caller’s mother liable for those debts? Rick: “Yeah, she very likely is. The concept right now is community property, and the rest of the world is assuming they’re still creating community property. You’re common sense is right, I’m glad you called. “What she needs to do is initiate divorce proceedings. That doesn’t mean she’s trying to be harsh with him or anything else, but it does mean she’s trying to acknowledge that the community ended. What’s nice about this point in time, the argument could be that the community ended five years ago, even though the divorce happened today. “So that’s something hopefully they can agree on that’s part of the document. “Now, the only downside still, is there are things, for example, if he’s been able to purchase property, her signature is likely to be on there somewhere. There are some debts that have already been secured, the lender, in that case, thinks they’ve got access to not only your stepfather but to your mother.